European Medieval Combat "European Conglomerate"
European Conglomerate (European Medieval Combat): Our Medieval Combat is based on Master instructor's Sir Ronald Courtain-Tharp's 28 years of experience in Medieval personnel combat, his book and style "European Conglomerate". This style integrates old world teaching with practical knowledge and new ideas, which, develops into an all encompassing weapons knowledge that easily transitions from Dark age period to the Renaissance period. Furthermore, the style coincides and combines the ideas and technique from masters, such as Di Grassi, Saviolo, Capo Ferro and Silver. Students begin by learning basic stance, blocks, guards, and cuts using practice swords and daggers. As students advance they learn the use of different types of swords, daggers and shield work. Advance students learn to use steel weapons and begin to take part in tournaments. 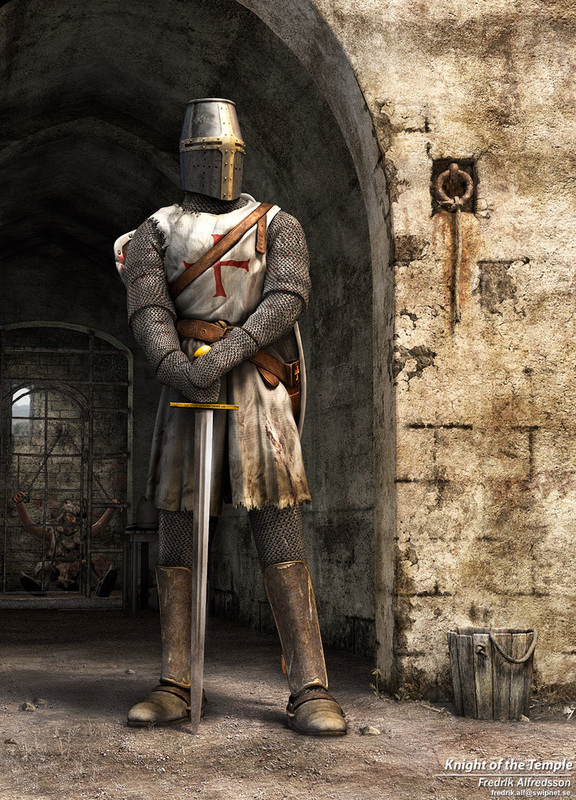 Then, ultimately training in the use of the great two handed swords and in the use of armour. Additionally, they learn to use other hand held weapons such as axes, maces, war hammers as well as the use of pole weapons. Students learn to fight multiple opponents, line and formation fighting (fighting as a group), and the ability to identify and anticipate the techniques used by their opponents based on weapons they use and their stance/guards. Our Highland Broadsword is based on renowned fencing masters: Angelo and Page with additional study of McBane and Silver. Here; we work on spacial movement, mind-set and self defensive attributes based on their work. We begin with general knowledge on the use of Highland weapons and history behind the culture of the Celtic people. At the beginners levels we work with traditional highland stick fighting. Study continues with training in the use of the Broadsword, Learning the ten lesson forms,seven cuts, stance and guards. At this point, students begin to spar and can compete in tournament events. 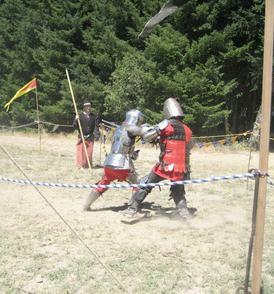 Training continues using the dirk and broadsword, then advancing to using steel (blunted) weapons (if they choose too). We move then to the use of the targe (shield), and using all three components at once, and Florentine (two swords). At this point we begin training with the Great two handed Claymores and training in fighting multiple opponents. We conclude initial training with the spear and Lochaber axe. Additional study continues with how: to use the spear ,shield and Celtic longsword. Additional fighting history and culture of the ancient Celtic society. Weapons, Beginner - For basic drills, our weapons are 1/2" or 3/4" rattan sticks with a leather basket hilt for Scottish Broadsword and Cold Steel practice swords for European Conglomerate. Weapons Advance - Steel weapons must be blunt (unsharpened) and have a rounded point. Additionally, the blade must bend at least 3-5" and return "true" straight. The style of the sword is up to you and the period you like. All maces, axes, war hammers, spears, and such weapons need to be blunt and well rounded at their tips. 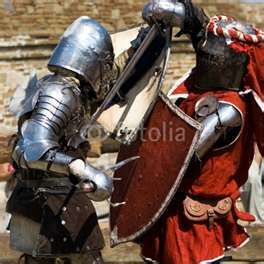 Protective headgear - For any bouting or sparring, protective headgear is absolutely required! If you use weapons in anything other than a drill or a demonstration with an instructor, you are required to wear a mask. We will be using three-weapon fencing masks, which are available from a variety of online suppliers. For use with steel weapons, steel helmets are required, the style is up to you as long as it protects the head, neck and ideally the face. 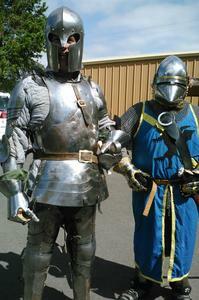 Other protective gear -Their are a large number of options open to the student. Gloves - It is highly recommended that all students have a heavy leather glove or steel gauntlets to protect their hands and wrists. This is especially true of bouting, but also true even with some drills. Some students have used saber gloves purchased from fencing supply stores, and some students have used welding gloves. It is a matter of personal taste. Tunic, vest, or Gambeson (arming jacket) - Again, this can be anything from a heavy leather or denim jacket, to a tunic made by a firm specializing in equipment for historical re-enactors, or even, a very heavy-duty traditional fencing jacket. The requirements are that it has to provide some protection for the student, while still allowing full range of motion. Chest and groin protectors - Groin protectors for men can be found at almost any sporting goods store. They are also available for women, too. 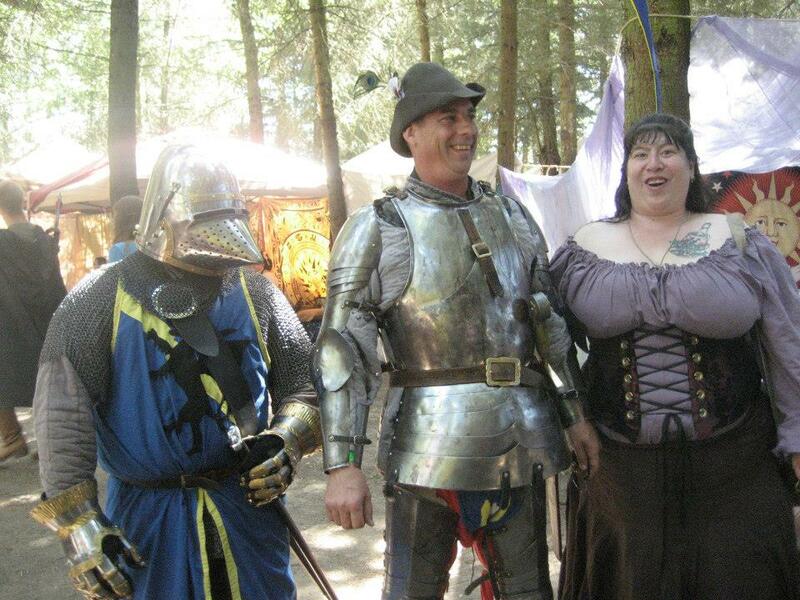 Plastic chest protectors for men and women can be found through many fencing supply firms; alternatively, some very simple leather armor can be purchased online, or can be made by or purchased from students or instructors who are proficient in leather work. Arm, leg, elbow, and knee protection - Protection for these areas is left to the discretion of the students.